When you live in a city you’re surrounded by all sorts of strange and wonderful things: buildings and buses and statues and sirens and the most varied and curious panoply of people, including homeless ones. Lots and lots of homeless people. Walk around enough and you’ll see so many outstretched hands asking for that most basic of human need—a hand to help lift them up. But if you’re a normal person living in a city you are not, by definition, an ATM. Likely you’re just someone struggling to make ends meet. Someone without sufficient means to stop and cram a bill into every sweaty, outstretched hand. Plus, you’ve got to get to the record store before it closes and then meet some friends for a couple rounds of cocktails. Eventually you learn to walk past the homeless hands and ignore the pleas and avoid the haunted, hunting eyes asking for a little lifeblood to keep them going. There’s one other thing about being a normal person, whether you’re in a city or elsewhere—you’ve got a conscience. Once you get home and give that thing room to chatter, it’ll take a long deep breath and let you have it. That pesky conscience will castigate you about all those homeless hands you walked past earlier and rail on you for choosing not to help when you could afford to. It’ll go on and on, barking at you for your coldness, and soon you’ll spend your Friday night thinking about how terrible it is that there are people without safe, warm places to live and consistent foods to eat. Listen long enough and soon you’ll wish that the world was a more kind and loving place. One day last week I was walking to work. On the opposite corner a homeless man was eyeballing me hard. I don’t know for certain that he was homeless. He looked the part, which of course means something, though not everything. In my head he was homeless, and for the sake of this story—even if he owns a mansion in Medina—homeless he will be. He’d locked his eyes on mine with some sort of death ray intensity, and when I finally got through the crosswalk and was standing two feet from him, he continued to stare into my face. Hello? I said, because clearly someone had to break the ice. He continued to stare into my eyes. He licked his lips. Since you approached me, he began, and my mind crunched and stuttered like a ship run aground. “Since you approached me”—what an intro. It was like when you watch someone flip a pancake and it just hangs in the air for what seems like an inconceivable amount of time before it finally flaps safely back into the pan. Obviously I hadn’t approached this man, in the colloquial sense, but it was literally true: he had remained on the corner where I had technically approached him. I’d even said Hello. He’d delivered his line so well that if we’d had time to get to know one another and developed a lifelong friendship and drank German beers together while playing pinochle the first Thursday of every month for the rest of our days, this would be a story I would tell at his funeral. Could you spare a couple dollars for the bus? He’d slunked me with the intro, but now we were down to business. We were iris-to-iris and now we knew how things looked. Travel back with me, dear readers, to a magical time, when people wore leggings and played keytars and employed rollerblades for individual locomotion (aka: Brooklyn, circa 2018). In those blessed days, America was considered to be a beacon on a hill overlooking an otherwise dark and dreary port. Under Presidents Reagan and then Bush social service programs that helped poor and low income people came to be viewed with great disdain. 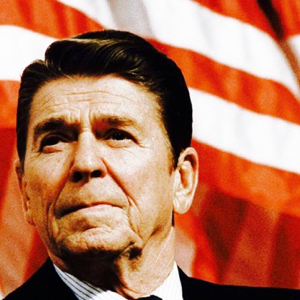 The people receiving government support were no longer unfortunate or overlooked Americans down on their luck; instead, with the wave of old Gipper’s magic wand they were transformed into leaches and succubi, workless wastrels glutting themselves on the provisions provided by other decent, hard-working Americans. In an attempt to cut such lavish expenditures (while simultaneously and grossly raising spending on armaments), a clearinghouse approach to social service spending was undertaken, and many programs were completely defunded or dramatically reduced. One rationale for the cuts was a bookshelf’s length of fairytales about welfare queens, who, according to Republicans at the time, were driving Cadillacs and eating caviar and measuring time on expensive Swiss watches and other such absurd nonsense. This was accompanied by a lot of confusing talk about bootstraps. Apparently God had given them to us Americans when Jesus first sailed the Delaware, a boat ride that took place after he refused to lie about the time he didn’t chop down that cherry tree, which occurred after he corrected the religious leaders in the Temple but before he dumped tea into Boston Harbor and then rode at midnight to warn everyone that the British were coming. It’s a complicated history, but the point was that it was just like Genesis, Chapter 1, when on the 6th Day God said, Let them all have bootstraps! Then He took a really long nap and missed a very unfortunate series of events in the garden. But the bootstraps—God had given them to us so we could employ them to pull ourselves up in life. If someone didn’t pull on them properly and thus got stuck in the mud of life then there was no one to blame but herself. You certainly wouldn’t blame the manufacturer of the boots, their straps, or the inhospitable mud-soaked environment. These whoppers we were being told were of such an absurdly nonsensical nature that they got lodged deep in the recesses of my brain (it’s likely that this is the same reason that I can still sing the theme song to The Gummy Bears TV show), the end result being that now, some thirty years after the fact, anytime a homeless person asks for a handout some small but persistent part of me wonders, What are you really going to do with any money I might give to you? The implication here is that any homeless person must be, by virtue of being a homeless person, lying. God gave them bootstraps but they (key-word) choose not to pull on them—ergo they’re homeless, and, by extension, liars. It’s best if you don’t overthink—or think at all—about the logic involved in the above statement, in the same way you wouldn’t get bogged down by the illogic of any fairy tale: ogres are bad and that’s because they’re ogres. Further, a homeless person most certainly has no intention of using my money for the bus and instead will indulge themselves shamelessly with beluga caviar and new rims for their Caddy. This is because they’re liars, which once again is the reason that they’re homeless, a state that they’ve obtained by virtue of being liars, for which they’ve been consigned to being homeless. You get the idea. I’ll admit that assuming homeless people are intrinsic liars is almost as absurd as the notion that they’re driving Cadillacs and eating caviar. I’m also fully aware of the rabbit-hole you’ll squirm down when you ask yourself who’s the more offensive and culpable liar—the person with neither food nor home looking for help or the government officials who lied to create stories about lying, thieving homeless people so they, the government officials, could cut services to said homeless persons, thus making available federal monies that were subsequently used to pay for armed conflicts whose rationale and occurrence aforementioned government officials also lied about. I think most of us would agree that even if a homeless person is lying and has no intention of using my money for the bus and instead will take it and buy a bottle of cheap liquor to complement their caviar and use that liquor to get drunk beyond remembering, that’s still pretty terrible and sad. In fact, it’s really terrible and sad, and if my life had devolved to the point that I had to lie about needing bus money so I could buy booze, well, I’d probably want to buy a bottle of cheap liquor and get trashed beyond remembering. Traffic had continued to zip past the street corner where the homeless man was still staring at me, but my mind was elsewhere, fidgeting with a thought about the nature of gifts. A gift was what he had asked of me, and I was thinking that a gift, by definition, shouldn’t come with a string of behavioral expectations. That is, if you ask me for a banana, and I give one to you of my own free will, then it’s your banana to do with as you want. Eat it, throw it away, blend its meat in a smoothie and use its skin to fuel the Mr. Fusion mounted on the back of your souped-up, time traveling Delorean. Whatever. Point is: it’s your banana. Still, some peevish Peter Policeman inside me felt compelled to walk this homeless man to the nearest bus stop and make certain that he used my hypothetical dollars on actual bus tickets. Which raised the last thought—who carries cash anymore? But the darnedest thing was that I did have cash on me. The night before I’d gone to a show with a friend and he’d paid me back for the tickets I’d purchased for him with a $100 bill. For context, the bus costs $2.75. Perhaps this reveals something prejudicial and slinky about my character, but I didn’t think the homeless man leering at my on the street corner could make change for a hundred. So I employed a tactic I’ve honed through many years of dating: I demurred while being weirdly literal in my language. Sorry, I don’t have any money I can spare. It’s worth reiterating that the homeless man had continued to stare at me the whole time I’d been thinking all the thoughts listed in the above paragraphs, and that those thoughts occurred in my brain at a much faster pace than they took to write down and read. If he’d been growing impatient as I forged a safe path through my own moral minefield, he’d said nothing. Until now. That was unexpected, and my shoulders did this weird scrunching inward turning thing they do when people say things that make me uncomfortable. It’s like I become some sort of turtle, only without the cool shell or ability to live under water for long periods of time. Thank you, I said. Somewhere far back inside me my conscience cleared its throat and announced that this was exactly what it had been demanding of the world previously. Focused on the homeless man across from me, I ignored it. He leaned closer: I love love love love love you. Thank you. I turtled my shoulders even further inward and nodded. I love love love love love love love you. Alright. I cleared my throat and looked around. Traffic continued to flow by, keeping me and the homeless Don Juan moored on our corner of the intersection. I love love love love love love love love love you. All this love stuff was starting to get annoying. He loved me: that was great and important and something someone should write an essay about, but couldn’t he see that I was running late and needed to get to work and really didn’t have time for all this effusive prattling? But he’d found his vein and wasn’t afraid to mine it for all it was worth. On he went while I stood beside him. It got so bad and the light took so long to change that when an old mid-60’s Volvo drove past I pointed at it and tried to distract him, like some pioneer army general with a handful of shiny beads negotiating a treaty with a confused Indian tribe: Look, I pointed eagerly, what a neat old car! He wasn’t having it and only repeated his love mantra once more. Finally the light changed. I was free! I stepped into the crosswalk and left the homeless man with his profusions of fraternal love and connectedness standing on the corner behind me.